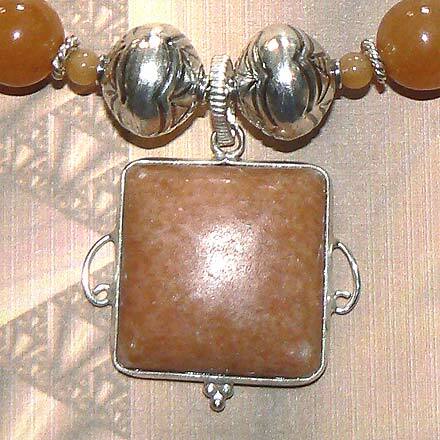 Sterling Silver Red Aventurine Necklace. See Closeup. 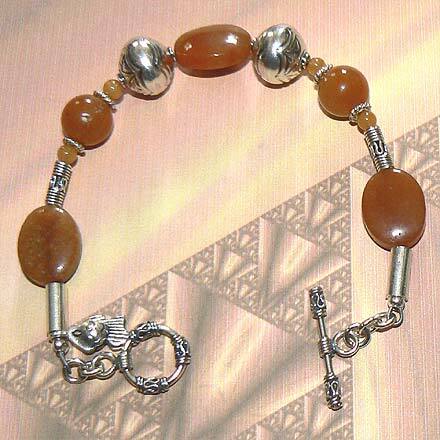 Sterling Silver Red Aventurine Bracelet. 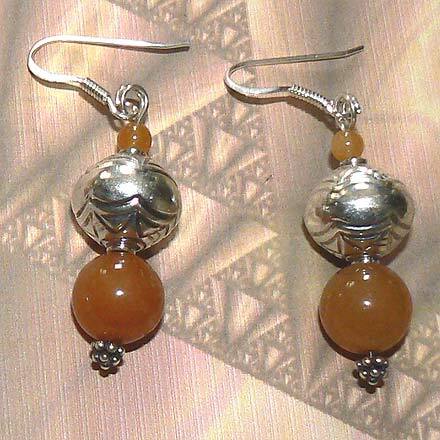 Sterling Silver Red Aventurine Earrings. 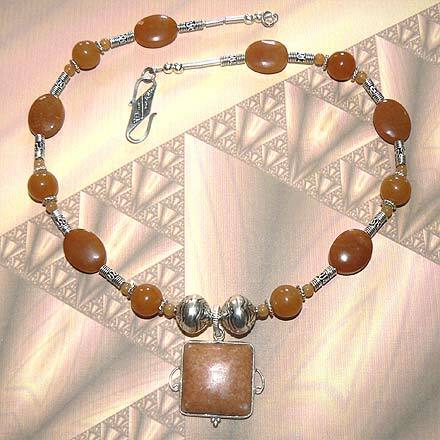 A sunny, happy jewelry set with some lovely orange (although they call it Red) Aventurine. For those who are interested in Astrological significances of stones, Aventurine corresponds with Aries.